Not a fan of cold turkey? 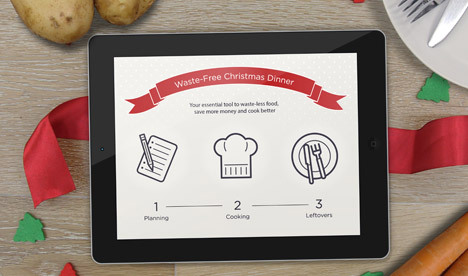 London product design firm Seymourpowell has developed a conceptual app to "design out Christmas food waste" for a future free from excessive leftovers. 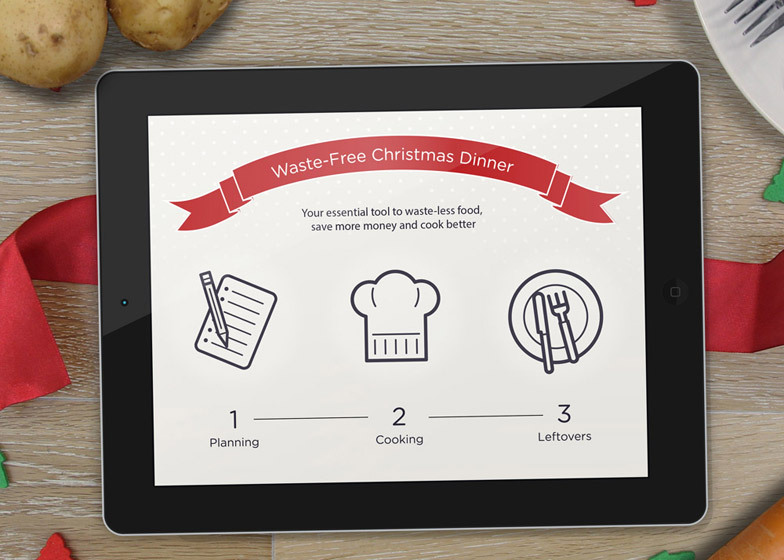 Seymourpowell designed the Waste-Free Christmas Dinner Maker (WCDM) concept app to help consumers reduce waste produced in the making of the traditional holiday meal. The app would offer guidance and interactive management systems for use at each stage of the meal, from shopping for ingredients through to preparation, consumption and disposal of leftovers. The firm said it had developed the design in response to the huge amounts of food and money wasted around Christmas. "Each year in the UK we waste the equivalent of 2 million turkeys and 74 million mince pies at Christmas, whilst 5 million Christmas puddings go unconsumed," said Seymourpowell. "The average cost of a turkey Christmas dinner is £120 per household and 35 per cent of people admit to throwing away more food at Christmas than at any other point in the year." 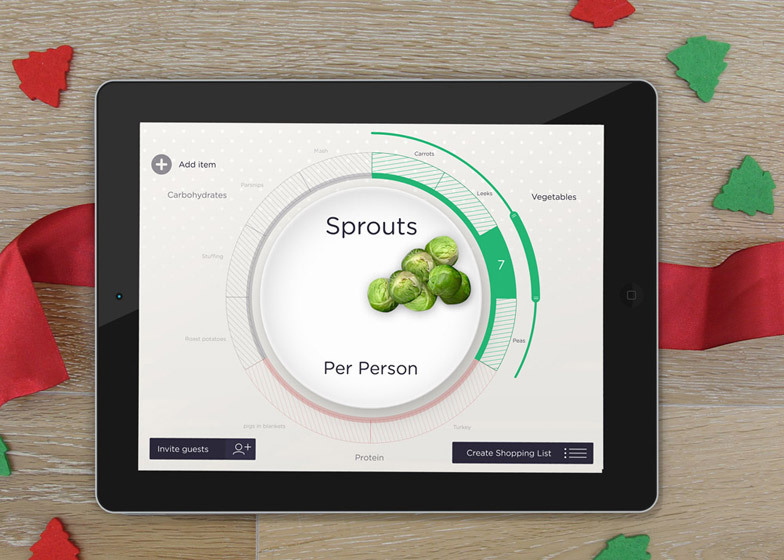 Users of the app would begin by planning their dinner with a virtual plate that could help calculate portion sizes. "If like many of us you are not into Brussels sprouts, simply remove them from the virtual plate so the app automatically updates quantities of other vegetables, maintaining a healthy dietary balance on your plate too," explained the studio. Once the menu is decided, programming in the number of guests would prompt the app to automatically update its shopping list to include the required quantities of each ingredient. 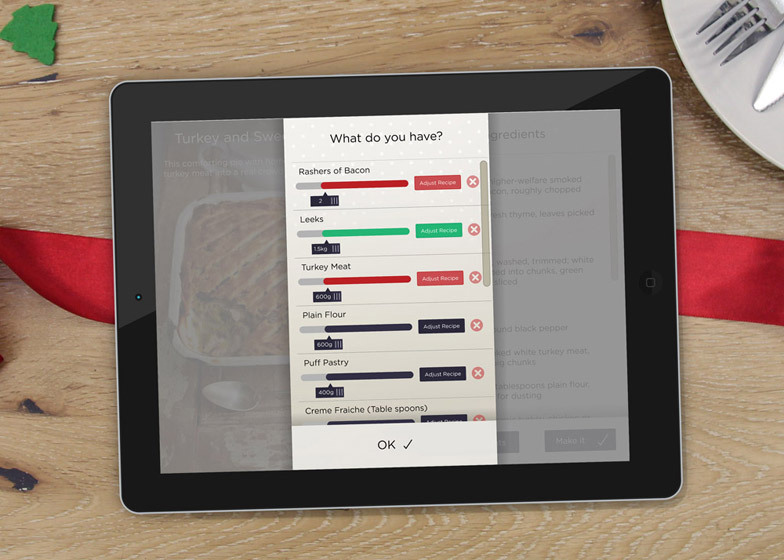 Users could also programme in food that they already have to tweak the shopping list. The app would then order the food online and arrange for it be delivered in a reusable hamper. "To help you prepare a stress-free and delicious meal, the WFCDM app guides you through the cooking process step-by-step, again ensuring a waste-less dish," said the firm. "The app's 'timeline' ensures you know exactly when to prepare what, so you can relax and enjoy time with friends and family on the big day." 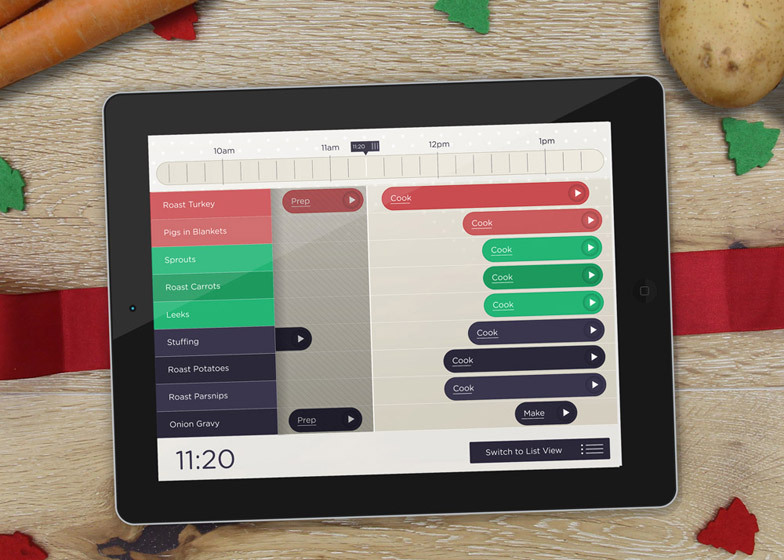 After the dinner is over, the app would help make the most of any leftover food by recommending meals using a combination of the remaining ingredients and automatically ordering any additional ingredients required, like spice to turn cold turkey into a curry. Seymourpowell described the concept as a "Ghost of Christmas Future". "This doesn't use any new technology or services that aren't in existence today, plus doesn't demand a huge sacrifice or dietary change that many seem unwilling to change - to have a real impact," said the firm. "It simply requires things being reconfigured to tackle food waste."